The 5 chief executive officers from the 5 start-ups and the vice president of ICT chamber from Rwanda, Africa visited KIC on January 23rd, 2019. 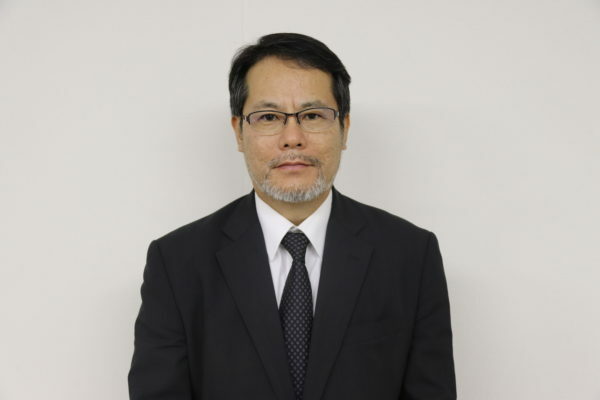 Mr. Atsushi Yamanaka, Adjunct Associate Professor of KIC, is the project leader of “The ICT Innovation Ecosystem Strengthening Project” supported by Japan Overseas Cooperation Agency (JICA) in Rwanda which aims to support start-ups. This time, the 5 chief executive officers from the 5 start-ups in Rwanda who were chosen by the program related to “The ICT Innovation Ecosystem Strengthening Project”, and Mr. Jimmy Rutabingwa, Vice Chairperson of ICT Chamber, visited Japan. During this time, they visited KIC, which is collaborating with Rwanda through utilizing ICT as a unique educational tool. KIC introduced our activities regarding Swift-Xi Inc. which was established collaboration with Swift Engineering Inc. - an aerospace company based in California, USA, and supported by Kobe City, as well as Kobe Denshi Vocational College as our sister school. The 5 chief executive officers exchanged opinions with the international students in the ICT Innovator course from Rwanda. The 5 chief executive officers from the 5 start-ups in Rwanda received a detailed explanation from each section, and they had many questions for the teachers. The visiting program was productive not only for the 5 start-ups in Rwanda but also KIC. The collaboration and cooperation with Rwanda is expected to significantly develop in the future. 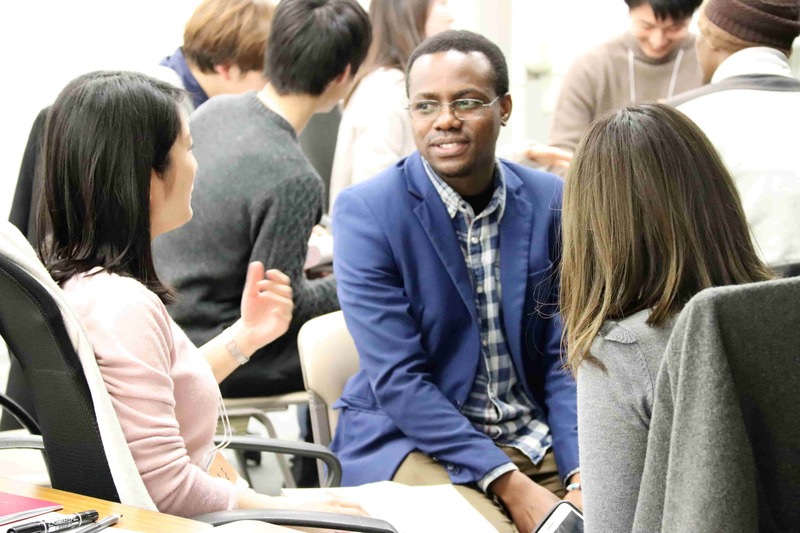 On the January 19th, 2018, Mr. Kenji Fukuoka, Vice-president of KIC, gave a lecture for the trainees from some universities who were sent to Rwanda through the program “KOBE STARTUP AFRICA in Rwanda” (Link here) which is conducted under the auspices of Kobe city. “KOBE STARTUP AFRICA in Rwanda” is a training program supported by Kobe city and Tiger Mov, Inc. which is a Japanese youth development startup founded in 2016 with the mission of “creating next generation leaders”. The program aims to let the trainees acquire an “entrepreneur’s mind” through the experiences of start-ups in Rwanda which has a growing IT market, as well as many other issues to tackle. In the pre-training of the program, Mr. Kenji Fukuoka, Vice-president of KIC, gave a lecture as a pioneer of start-ups in Rwanda for the trainees in KIC, which has cooperated with African countries like Rwanda through ICT since a little less than 10 years ago. In the lecture, he explained what KIC has done with Rwanda, as well as what Swift-Xi Inc., his start-up, has contributed. In addition, he stated “My start-up in Rwanda has just begun. We have the same aspirations. Let's do our best together” to the trainees. The trainees also recieved information about African society with international students in the Innovator course from Africa. And the international students gave feedback on the start-up plans by the trainees. The discussion was quite lively through to the end. The trainees stay in Rwanda for 2 weeks. They research their original business plans for solving problems in Rwanda, experience the emerging market which is growing rapidly, develop relationships with local entrepreneurs or venture capitalists through the experiences of visiting some places like markets or coffee plantations, participate in workshops collaborated with local companies, develop business plans, and give final presentations. Please watch out for our international activities in collaboration with local governments. Swift-Xi Inc. participated in an event on the 24th Memorial Day of the South Hyogo Earthquake (Great Hanshin Awaji Earthquake) in Kobe. Swift-Xi Inc. (Mr. Hiro Matsushita, CHAIRMAN & CEO) which was established in collaboration with Swift Engineering Inc. - an aerospace company based in California, USA, and supported by Kobe City, participated in an event on the 24th Memorial Day of the South Hyogo Earthquake (Great Hanshin Awaji Earthquake) in Kobe on January 17th, 2019. Swift-Xi Inc. was able to perform a successful demo flight of the drone “Swift020” model which is a vertical takeoff and landing aircraft and fully autonomous turnkey solution, with took place at the southern area of Meriken Park in Kobe, Japan on the July 2018. In addition, we participated in the International Industrial Fair 2018 Kobe which is the largest industrial fair in West Japan, in September, 2018. Gradually, the public is becoming more aware of us. The event on the 24th Memorial Day of the South Hyogo Earthquake (Great Hanshin Awaji Earthquake) was held to raise awareness of disaster prevention and to share the lessons and knowhow gained from experiences with the world. At the event area, there was a memorial walking event, emergency drill, and many booths for exhibitions on disaster prevention, which Swift-Xi Inc. also participated in. Many visitors from not only government departments concerning disaster prevention, but also companies which were interested in our products, and even children who were very curious about the drone, visited our booth. They showed great interest in the Swift020 and its successor model. Swift-Xi Inc. and KIC will satisfy the needs of any disaster prevention initiative through our products and research activities. Mr. Kenji Fukuoka, Vice President of KIC, joined a meeting that was sponsored by the Japanese government when Mr. Paul Kagame, President of Rwanda, visited Japan. Mr. Kenji Fukuoka, Vice President of KIC, was invited to the meeting and events that were sponsored by the Japanese government when Mr. Paul Kagame, President of Rwanda, Chairman of African Union, visited Japan on January 8th, 2019. Mr. Paul Kagame and his wife met with the Emperor and Empress in the afternoon. After that they had a meeting with Mr. Kizo Hisamoto, Mayor of Kobe City, Mr. Hiro Matsushita, Chairman and CEO of Swift-Xi Inc., and Mr. Kenji Fukuoka, Vice President of KIC. On the Rwanda side, the Foreign Minister, the Minister of Finance, the Minister of ICT and Innovation, the Minister of Infrastructure, the Mayor of Kigali City and the Ambassador of Japan to Rwanda, participated with Mr. Paul Kagame, President of Rwanda. The meeting with key members who are in positions which play a pivotal role in the state of Rwanda was realized. In the meeting with Mr. Paul Kagame, Mr. Kenji Fukuoka talked to him about what KIC has been doing with Rwanda through the ABE initiative as well as how KIC is strengthening cooperation with African countries like Rwanda for the future. Mr. Paul Kagame responded positively, stating “Let’s begin all the activities we talked about today!” He showed a positive attitude to not only strengthening cooperation between KIC and Rwanda but also to strengthening economic exchanges between Kobe city and Rwanda. KIC has cooperated with African countries like Rwanda through ICT since a little less than 10 years ago. Today’s meeting with Mr. Paul Kagame was one of KIC’s many actions. In the evening following the meeting, the welcoming dinner for Mr. Paul Kagame and his wife was held at the Official Residence of Mr. Shinzo Abe, Prime Minister of Japan. Mr. Kenji Fukuoka, Vice President of KIC, was invited as a representative from the Japanese educational section because KIC has been contributing to developing human resources for Rwanda. He exchanged opinions with Mr. Shinzo Abe and Mr. Paul Kagame regarding future plans for developing human resources for Rwanda while enjoying dinner. Mr. Shinzo Abe and Mr. Paul Kagame mentioned and praised our many actions and achievements on such sequence of events. We are reassured that “Developing Human Resources” is an essential factor for the partnership between Japan and Rwanda, and it is our mission. We will continue our progress. KIC has signed a MoU (Memorandum of Understanding) with the Daimaru Matsuzakaya Department Store Kobe branch for creating a cooperative relationship in the ICT field. The MoU aims to understand what customers need, improve the quality of customer services, and invigorate local communities in Kobe. 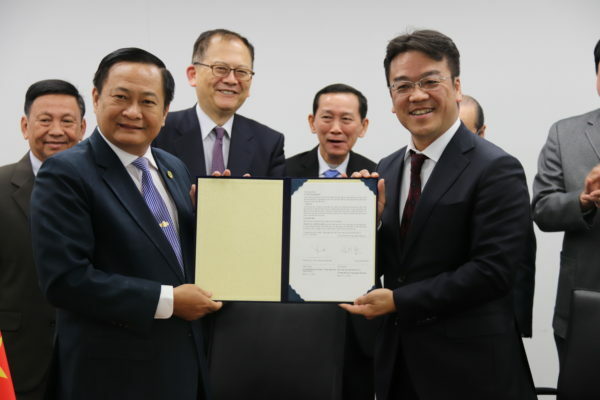 Our signing ceremony for the MoU was held on January 15th, 2019. Daimaru Department Store (est. 1717), as well as Matsuzakaya Department Store (est. 1611), had both been established as drapery stores, and had turned their business into the tradition ever since their foundations. Daimaru Matsuzakaya Department Store has been deeply loved by numerous customers as a long-established department store representing Japan. We have been engaging in PBL (Project Based Learning) in cooperation with various local companies since KIC started in 2005. This MoU is very important for all students in KIC because we can create opportunities for solving problems practically by utilizing ICT in the real world. 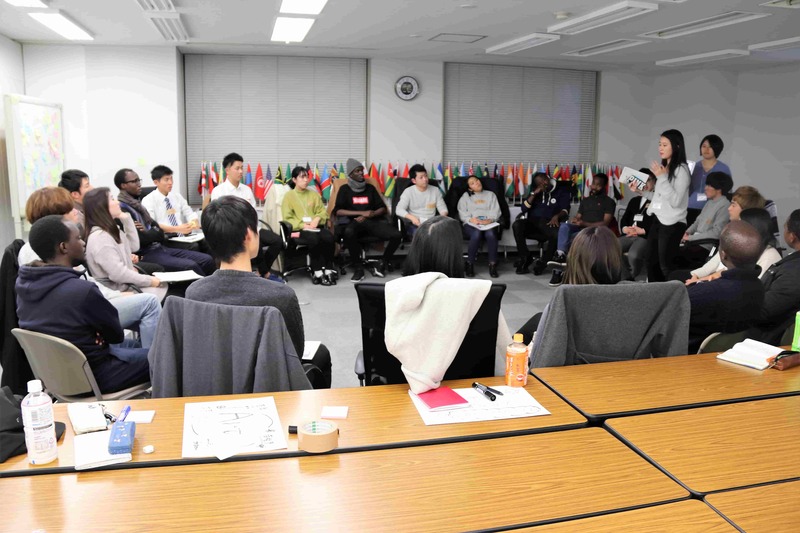 We play a more important role for not only developing Africa but also invigorating local communities in Kobe. Ms. Paula Ingabire, Minister of Ministry of ICT and Innovation, Mr. Antoine Sebera, Government Chief Innovation Officer of RISA (Rwanda Information Society Authority), Mr. Alex Ntale, CEO of ICT Chamber, and some members from Rwanda visited KIC on January 11th, 2019. KIC has been training students from Rwanda and sending them back as highly skilled ICT personnel or as entrepreneurs. KIC has signed a MoU (Memorandum of Understanding) with the Rwanda Ministry of ICT for creating a cooperative relationship in the development of human resources and industries because the achievement of "ICT Human Resource Development Project in Kigali, Rwanda," which has been entrusted business from JICA since October 2017, was highly evaluated. At this time, KIC gave a presentation on what we have been doing for Africa, like in Rwanda, and talked about the gaming department from Kobe Denshi vocational school and held a tour of both of KIC and Kobe Denshi vocational school. Ms. Paula Ingabire, Minister of Ministry of ICT and Innovation, was impressed, and mentioned that “We want to have same education system even in Rwanda.” We recognized again that Rwanda also needs our cooperation from not only KIC but also Kobe Denshi vocational school. They also participated in a meeting with students from Rwanda as well as a welcome event. Ms. Paula Ingabire, Minister of Ministry of ICT and Innovation, applauded the great effort from the students. It was good opportunity for them. KIC will continue to promote the development ICT human resources in cooperation with Rwanda. 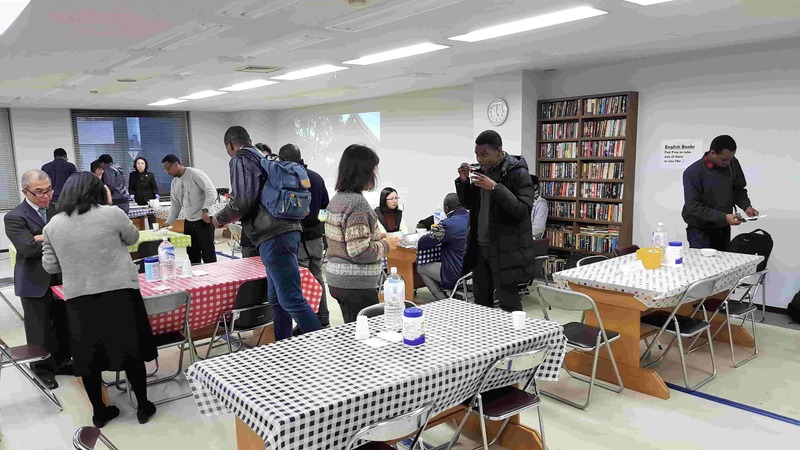 “Kagami Biraki”, one of the Japanese traditional events for the new year was held in KIC at lunch time on January 17th, 2019. “Kagami Biraki” means the cutting of New Year's Mochi (rice-cakes). It was held to enable ICT Innovator Course students to experience traditional culture in Japan. The students from the ICT Professional Course and teachers joined in too. It was a very lively and diverse party. Some of the students had trouble using chopsticks, but they seemed to enjoy the Japanese tradition of eating “Isobe Mochi (fried rice-cakes covered in soy sauce and wrapped in dried seaweed)”. About 4 months has passed since M1 students in the ICT Innovator Course came to Japan. They have gotten used to use chopsticks little by little. They enjoyed eating the rice-cakes. 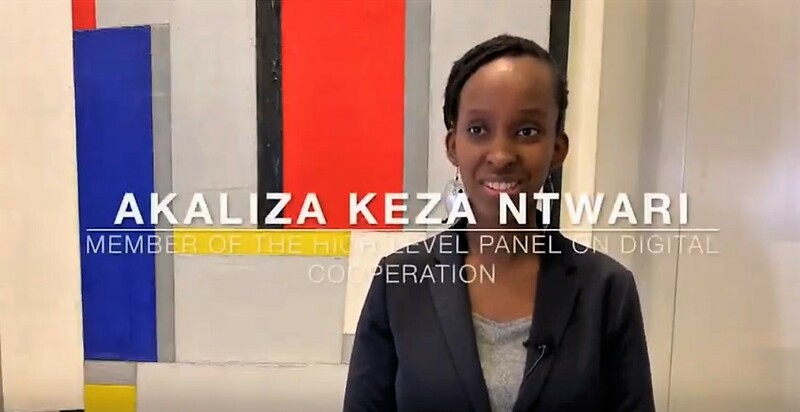 Ms. Akaliza Keza Ntwari, who graduated from the KIC Innovator course in September, 2016, was appointed as a member of the High-Level Panel on Digital Cooperation, which was established by United Nations Secretary-General António Guterres, to advance a dialogue on strengthening international cooperation in the digital age. She was interviewed by the Digital Cooperation. The technical aid project “ICT Human Resources Development Targeting the Japan Market” which KIC has been entrusted from JICA (Japan International Cooperation Agency) in Bangladesh, was started by Mr. Miyamoto, KIC extraordinary associate professor from July, 2017. The project aims to develop ICT human resources and increase the pass rate of the ITEE (Information Technology Engineers Examination) in Bangladesh. In the results of ITEE, which was held in March, 2018, some of the examinees in Bangladesh held 1st and 3rd places from among all examinees from the 7 countries (Philippines, Vietnam, Thailand, Myanmar, Malaysia, Mongol, and Bangladesh). 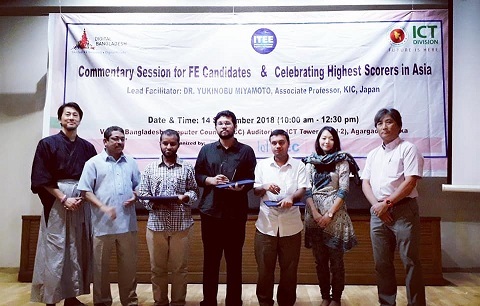 In the results of the recent ITEE which was held in autumn 2018, an examinee in Bangladesh held 1st place among all examinees from the Asian countries again. Moreover, we achieved the largest number of passers ever in the ITEE at 36. In November, 2018, it was decided to advance this project to a national level in Bangladesh as the results of the project were highly commended by the Bangladesh national government. Mr. Miyamoto suggested repeatedly to the Bangladesh national government about the tentative plan of “120 Hours Training in 12 Universities” for increasing passers of the ITEE, as well as improving the budget and developing the Bengalese trainers who support the sustainable and autonomous system of ICT Human Resources Development. At the conference, participants came from universities, and they were able to have an active exchange of opinions. Mr. Miyamoto visited two universities in Dhaka. He introduced an example of activities of the trainees in the project in Japanese companies. He also mentioned the concrete route of how the trainees of the project can work actively in Japan. His suggestions highly attracted the students in universities. According to Mr. Miyamoto, the project gives steady results, and high attention is focused on the project in Bangladesh. On the other hand, there are some problems of the real ownership by Bengalese of the project, the objective activities of trainers, the cooperation system by private companies, and sustainable supplies of educational materials. 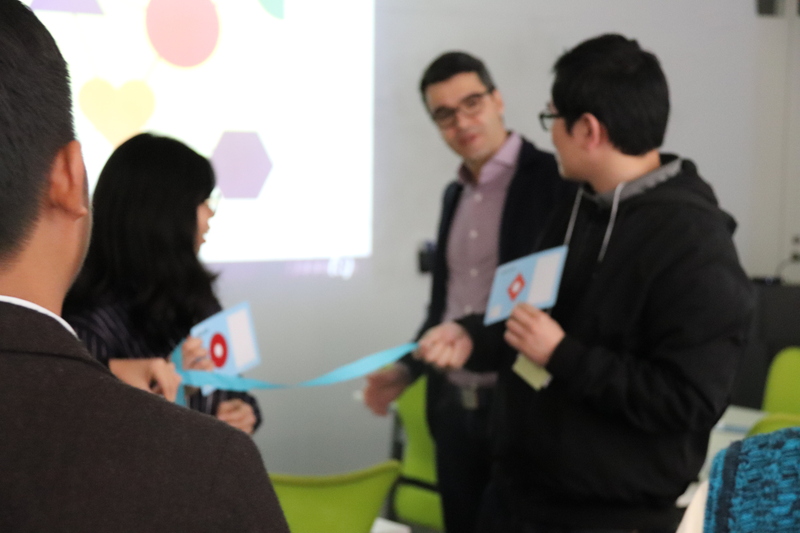 ICANN JUKU (School) Workshop” was held by ICANN (Internet Corporation for Assigned Names and Numbers) and Graduate School of Information Technology / Kobe Institute of Computing on the March 9th, 2019. The meeting which invites participants from all of the world for discussion regarding how to manage Internet resource or its rule is held 3 times yearly. This year, the meeting “ICANN64” was held in Kobe, Japan for 6 days from March 9th to 14th. It was the second ICANN meeting in Japan and the first in 19 years. As part of the programs, ICANN and KIC hold the Workshop event in English at KIC. We invited many students from KIC as well as universities and graduate school in Japan. 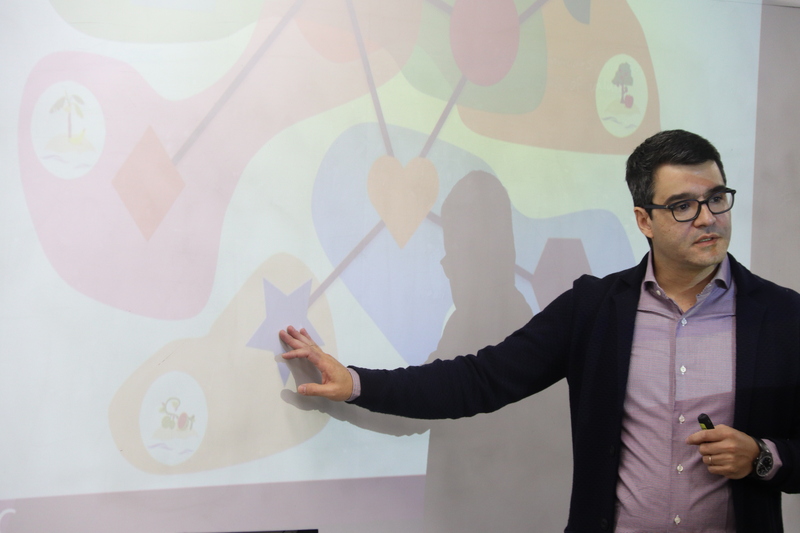 They gave lecture throughout the whole day making necessary rules and systems for management of Internet healthily as well as introduced the unique card game which students let understand how domain and IP address work in Internet. Our students form ICT Professional course and ICT Innovator course participated in the meeting. They seemed to enjoy well the event while communicating with other university students. KIC has signed a MoU (Memorandum of Understanding) with the CanTho University of Technology. 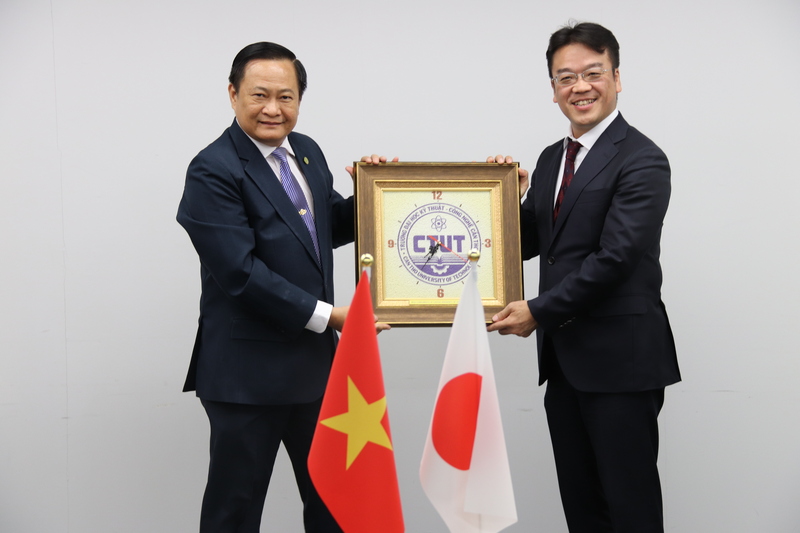 Our signing ceremony for MoU was held on March 13th, 2019 with the President of CanTho University of Technology, the Chairman of CanTho People’s Committee, and members of the party from Vietnam at Graduate Kobe Institute of Computing / Graduate School of Information Technology (KIC). CanTho, Vietnam is the largest city in Mekon Delta region. There are airport, river port, and industrial region. These are also expected to contribute to promotion investment from abroad because the infrastructure is stable. The CanTho University of Technology has not only department of agriculture, but also department of IT. Therefore the University which develops high level ICT human resources is very important educational institute. KIC and the CanTho University of Technology agreed to share the method of “Tankyu Practice” which is our original method for problem solution through utilizing ICT. Moreover we expect to imperilment the program for problem solution through utilizing ICT in agriculture field at CanTho city with local industry, local government, and KIC. This time, KIC introduced our activities regarding Swift-Xi Inc. which was established collaboration with Swift Engineering Inc. - an aerospace company based in California, USA, and supported by Kobe City, as well as Kobe Denshi Vocational College as our sister school, and exchanged opinions. After that, our student from Vietnam exchanged with the guests. The collaboration with Vietnam is expected to grow further in the future. He would widely support our international activities like Rwanda, Africa as well as to improve our educational quality. Mr. Hiroyuki Takada joined rural development as a volunteer from JICA in Zambia, Africa, after graduated from university. After that he joined to a research project of rural development in Indonesia as a student of Saitama Graduate School. At this period, he engaged in JICA volunteer project in Indonesia for 2 years leave of absent from the school. THe joined his tenure of office JICA after graduated from Saitama Graduate School. He has been very active in fields of rural development and Africa development as various positions in Japan, Turkish, and Rwanda for 20 years. There are currently no news stories for this month. Please feel free to select another month from the tabs above.